Ain’t she pretty? 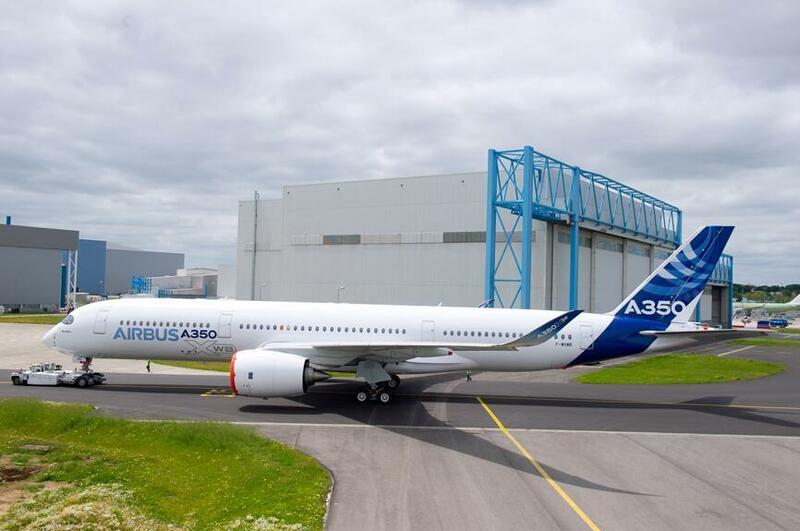 Airbus rolls out painted A350XWB. Airbus has rolled out its first Airbus A350-900 MSN001 in its full paint scheme at its Toulouse production facility. Airbus is yet to set an official date for the maiden sortie of the prototype flight test aircraft. Fitted with Rolls Royce Trent XWB engines the aircraft has spent close to a week in the paint shop. The A350 has already completed flight-test-instrument (FTI) verification and will now commence ground testing, followed by a series of ground runs before its first flight. Airbus holds 616 customer orders for the three member A350 family, which will eventually include a smaller 250-seat A350-800 variant and larger 350-seat A350-1000 variant. More information about the Airbus A350 family.